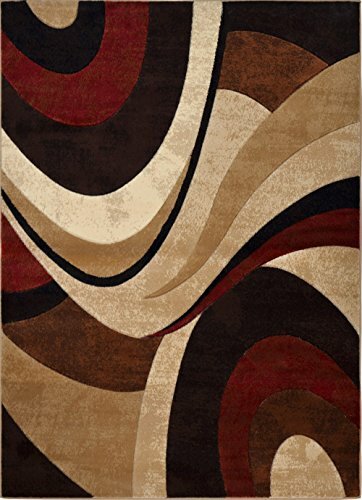 Waves of earthy color undulate across the Home Dynamix Tribeca HD5382 Indoor Area Rug. Drop-stitched construction gives each wave a raised-three-dimensional look that makes the pattern very pronounced. Manufactured by machine using polypropylene yarns, the rug has a soft pile and comes backed with jute for durability in high-traffic areas. You can select your preferred color and size from the available options. Abstract design in your choice of available colors. Made of polypropylene with jute backing. Machine-crafted using drop stitching. Select from available sizes. Intricate drop-stitching produces 3-dimensional effect. Fill a single living space or more than one part of your home with a pop of floral patterning by adding the Home Dynamix Ariana 7069 Indoor Area Rug - Set of 3 to your decor. This three-piece set includes a runner, a scatter mat, and an area rug, all with the same traditional pattern in your choice of available colors. Power-loomed construction ensures that the rugs can withstand the effects of heavy foot traffic, and the polypropylene pile is simple to clean. Jute backing makes the rugs slip resistant. Floral design in your choice of available colors. Made of 100% polypropylene and jute backing. Power-loomed craftsmanship. 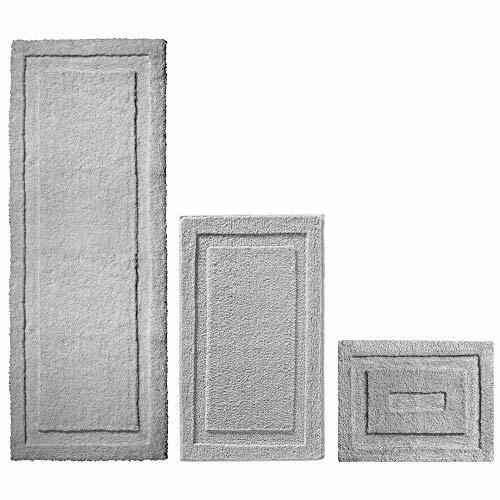 Set of 3 features various sizes. Includes 1 area rug, 1 runner, and 1 scatter mat. Our brand new velvet Ipek prayer rugs are here! Features fun geometric shapes on vibrantly colored, insanely comfortable velvet! Its lightweight design makes this rug easy to take with you on the go! Available in several awesome colors! Size: 70 x 110cm (27.5 x 43.5in). Weight: 1.5lbs. Made in Turkey. 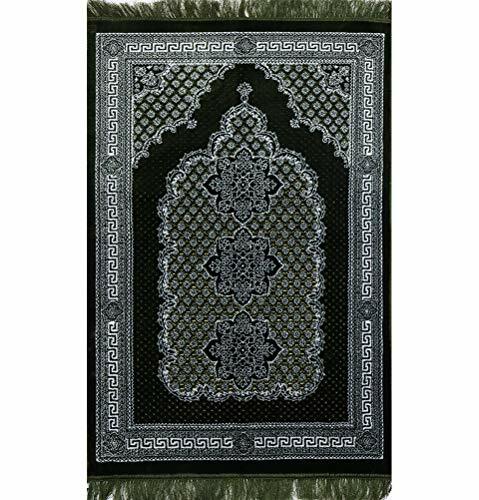 Our brand new velvet Ipek prayer rugs are here! Features fun geometric shapes on vibrantly colored, insanely comfortable velvet! 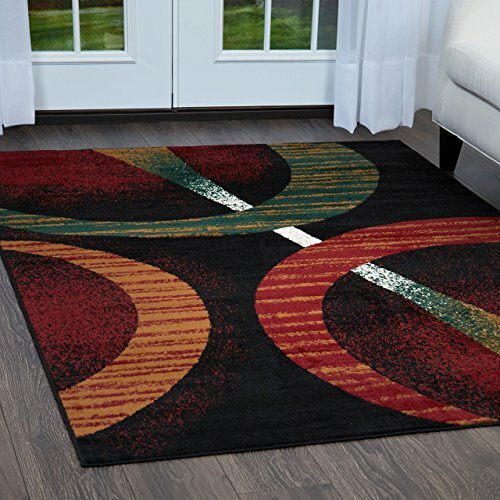 Its lightweight design makes this rug easy to take with you on the go! Available in several awesome colors! Size: 70 x 110cm (27.5 x 43.5in). Weight: 1.5lbs. mDesign helps you add subtle style and a whole lot of comfort to your bathroom floors with their Microfiber Bathroom Rugs. 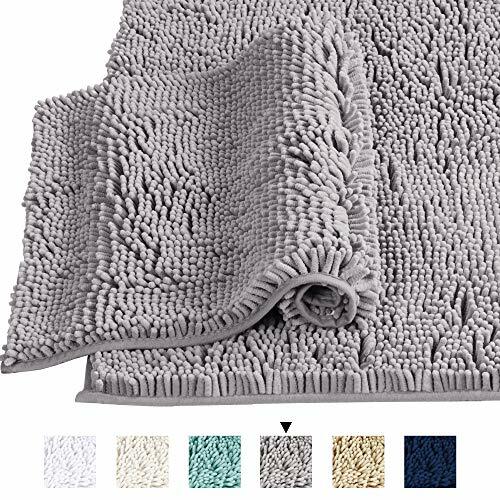 Made of super-soft microfiber polyester, the super soft rugs are highly absorbent, keeping your bathroom floors clean and dry. Non-slip backings keep the rugs in place, giving you a secure place to stand when getting in or out of the shower or tub or at the bathroom vanity. Available in different sizes and shapes to fit your needs, find the rug or set that works best for your home. Smart Features: The H.Versailtex's thick and luxurious microfiber shaggy rug is a popular and economical choice when you are seeking something water absorption and comfort for the bathroom. Our bath and shower mats feature non-skid that stay secure on any smooth surface. When you get out of the shower. You will enjoy how soft they feel beneath your feet, and water does dry off very quickly on these mats. Widely Used For: Great choice for your home bathroom, toilet, shower, floor, kitchen. It is also a perfect addition for hotels, spas, gyms, and anywhere else you need a premium bath mat, creating an elegant and timeless style. Decent Life Styles: These versatile super soft bath rugs add a stylish, plush touch to your d cor. These luxury and elegant mats also are making the unique accent that complements your existing bathroom design. Size and Color Options: 17-Inch by 24-Inch (Standard), 20-Inch by 32-Inch (Oversize) and 20-Inch by 32-Inch / 17-Inch by 24-Inch (2 Pack ) Taupe, Grey, Ivory, Navy, Duck Egg Blue and more new coming soon. Overall Help achieves the perfect harmonious color flow throughout your home. Thanks for your shopping with H.Versailtex, our designer team from CA of USA wish you always have a healthy body and optimistic mood, here our magic rugs/mats will be sure the anchor of your home life.